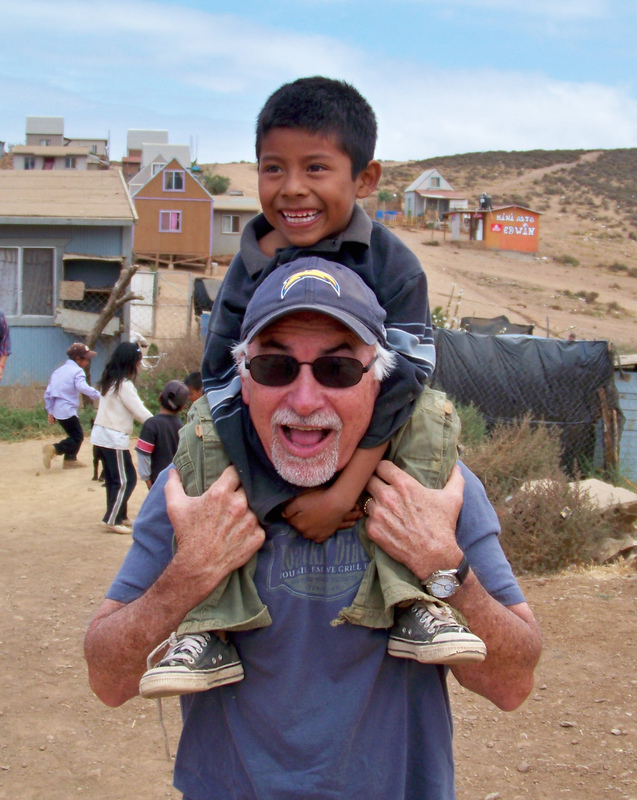 I just returned from a week-long (June 7-12) mission trip in Ensenada, Mexico with a group of families from Christ United Methodist Church in Memphis, Tennessee. My good friend Ken Elben is the student ministries pastor there and he invited me to come, which I was happy to do. I’ve always enjoyed these trips which include building houses for poor families and providing a daily “VBS” (Vacation Bible School) program for neighborhood children. I’ve put together a few carnival-type games which we take down there and use to attract the kids, then we do puppets, drama, crafts and a Bible story. This year most of the children came from migrant farm-worker camps, the poorest of the poor in Mexico. Despite the dirty faces and ragged clothes, they are beautiful children who enjoy laughter, candy, play, love and attention just like all children do. Many groups have cancelled mission trips to Mexico this year because of violence along the border and the threat of swine flu. In Ensenada, neither seem to be an issue and the staff at YUGO Ministries did a great job of easing everyone’s fears, both before and during the week of ministry there. Mexico seemed pretty normal to me except for fewer tourists in downtown Ensenada. The cruise ships have stopped going there also, at least for now. Meanwhile, know that there are some dedicated Christians who live and work in Mexico day in and day out, serving the poor and faithfully proclaiming the Good News. If you ever get a chance to work with them for a week or two during the year, don’t pass up the chance. It can be a life-changing experience for you, as it has been for me. 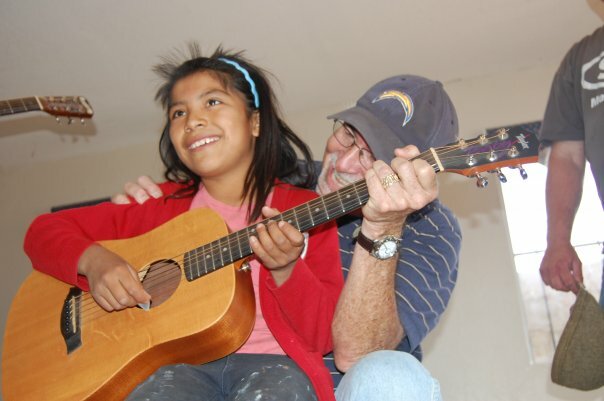 In our VBS programs each year, I like to take a small guitar with me and let the children strum while I play the chords with my left hand. The children are always amazed that they are making music while everyone else sings along. The photo (right) and the short video clip below was taken Monday when we visited a small church in one of the poor neighborhoods. The children come to eat a meal provided by the church. We spent a few minutes with them singing songs, including “Christo Me Ama” (Jesus Loves me). This entry was posted in Ministry, Personal and tagged Christo Me Ama, CUMC Memphis, Ensenada mission trip, Ken Elben, YUGO. Bookmark the permalink. thanks for ministering with us Wayne! You are such a blessing to me.